The ideal gift for family and friends. 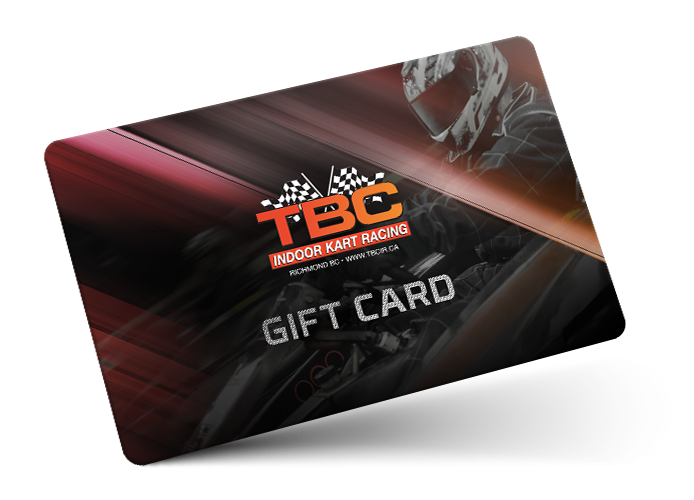 Buy a TBC Indoor Kart Racing Gift Card. The perfect way to treat a friend or treat yourself. A TBC Indoor Kart Racing Card is always welcome and makes a great gift for so many occasions. Send a gift card by mail that your recipient can redeem and enjoy on the track. Just fill out the form, add a personal message and the amount you’d like to give, enter an email address, then hit send.